Picture is of a much younger DrB. feeding the pigeons in Venice. I noticed this year there are no longer people selling pigeon food in the Piazza San Marco, and the pigeons that remain are looking pretty bad. Here is a blog commenting on this. Apparently as of May 1, 2008, it is illegal to feed the pigeons in Venice. 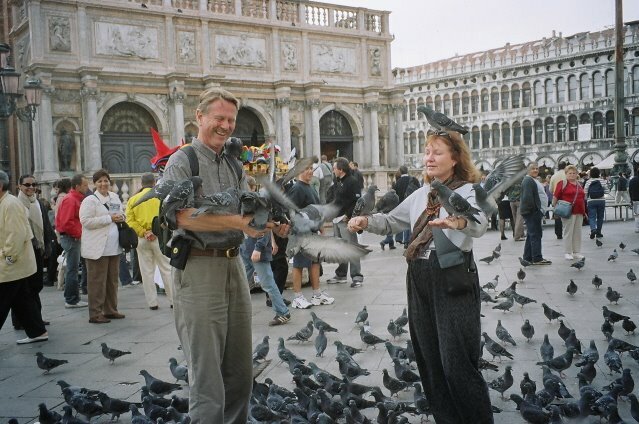 I once thought I would collect pictures of famous people feeding the pigeons in Venice. I have seen photos of Gertrude Stein and Claude Monet. 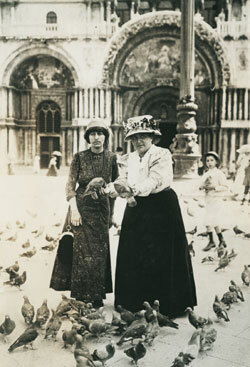 Here are Gertrude Stein and Alice Toklas. 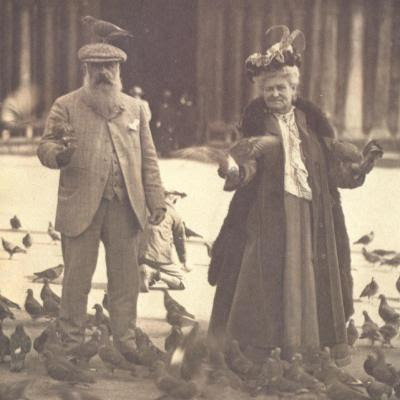 Here are Monet and his wife. Above is Salma Hayek and her daughter. It's fascinating how easy these were to find. I even talked my friends into doing it too. P.S. I am able to think of a logical reason for this: fear of bird flu.